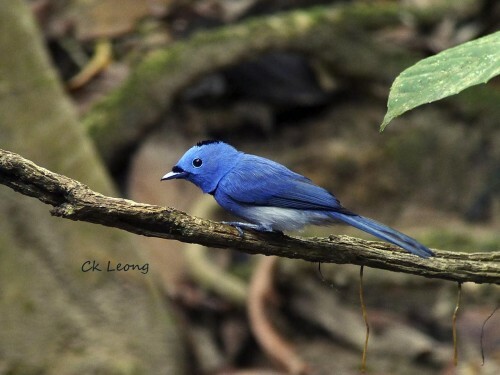 Resident throughout the lowland forests of Borneo, the Black-naped Monarch Hypothymis azurea ranks high for the “cute factor”. When alert, the nape feathers are raised, producing an elongated head appearance for the bird. If you spot this bird along a stream on a hot afternoon, you might be rewarded with it diving repeatedly into the water. The call is not unlike that of the Asian Paradise-flycatcher but at an higher pitch.